The Bard Center for Environmental Policy offers innovative master of science programs designed for the aspiring environmental leader. We offer an M.S. in Environmental Policy, an M.S. in Climate Science and Policy, two programs in partnership with Peace Corps (Master’s International and Fellows), and two dual degrees (one with Bard’s Master of Art in Teaching Program and one with with Pace Law School). We also offer a 3+2 Program for qualified undergraduates to earn their master’s and bachelor’s in an accelerated period of time. 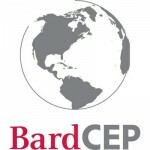 More details about our programs of study can be found online, at http://www.bard.edu/cep/academic_programs. This blog was created to chronicle the activities and interests of our growing community of Bard leaders. Students are the main contributors so far, with a few other posts from faculty and staff. We hope that these stories will shed light on the some of the exciting and also critically important work that our students engage in. Its purpose is to extend the work that happens at CEP, from both inside and outside the classroom, to a larger community where potential students, current students, alumni, and faculty can all meet and continue those discussions. Faculty, students and alumni/ae who would like share their stories should submit a request to cep@bard.edu.